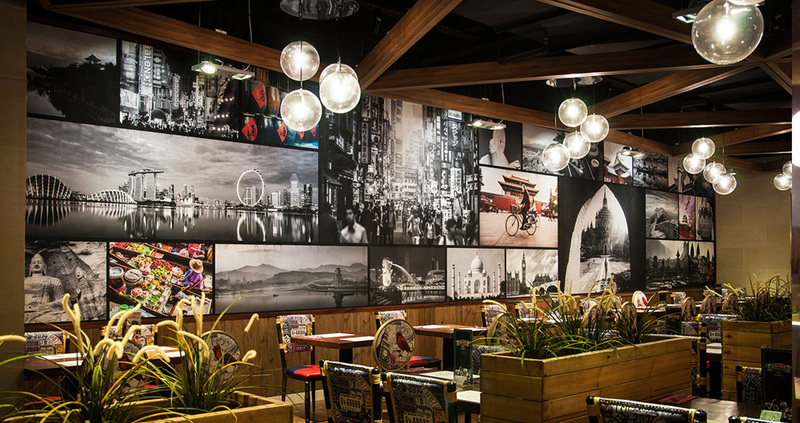 This collage was designed by Bon Pan Asia and then photoshopped by us into high resolution artwork to print onto wallpaper for the long wall of their restaurant. It was 21 drops in total and dimensions of 2.2m high by 12.3m wide. We can produce any image or put together personalised artwork including text , images, graphics to produce widths of wallpaper to cover any size area..
We print onto a heavy weight, textured paper which has a pasteable backing just like normal wallpaper. All we need to know is the dimensions of the wall / surface that you need to cover and we will do the rest! Explore the tastes and aromas of Pan Asia from our restaurants. With a banquet of over 150 dishes, all of which are freshly prepared by our skilled chefs using the finest ingredients. We can take you on a journey through some of the world’s most exciting and tantalising cuisines. 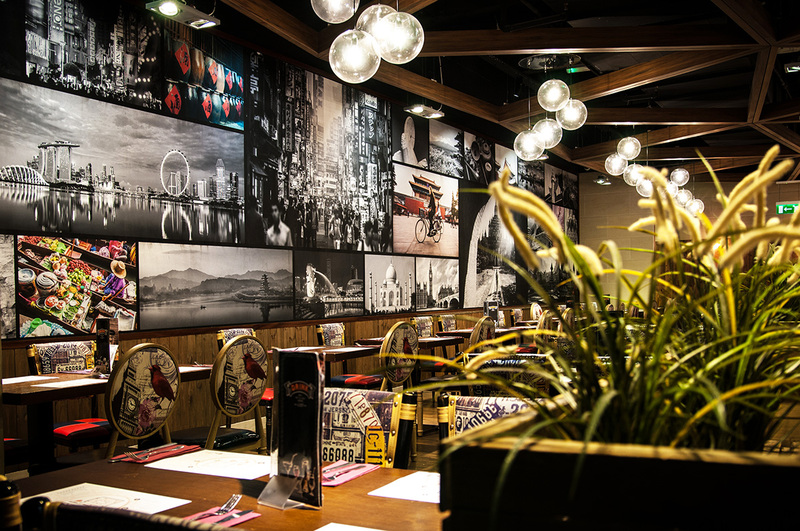 Bon Pan Asian has been designed with a relaxed but stylish environment so you can enjoy a whole new casual dining experience with a focus on exceptional customer service and food at an exceptional price. Interested in having your office or home wall done? This entry was posted in News and tagged asia, bon, design, local, pan, pastable, stoke, wallpaper. Bookmark the permalink.